So I know my house is a mess. On my day off, I do laundry and then usually spend the rest of the day working on my writing or drawing. In the meantime, the house gets a bit dirtier *sigh*. I want a self-cleaning house. 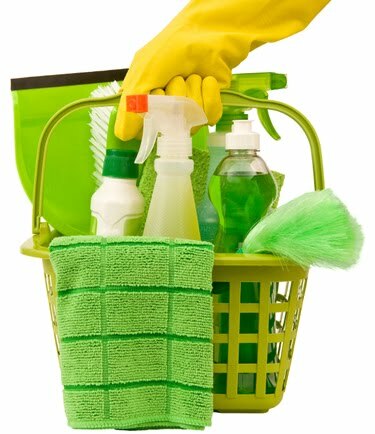 What brings housecleaning to the forefront again? A dear friend suddenly died yesterday morning. It's done a nice job shaking up my world because he was a couple of years younger than I am. He had some health issues - diabetes, high blood pressure, cholesterol issues, etc. But generally speaking he was such a presence, it's really hard to visualize the world without him in it. One of the first things my DH said to me was "We have to start getting our act together. If one of us died, we couldn't even have people over because the house is a mess." Well, that's a bit overstated, one room is a mess, but I understand where he is coming from. I want to start my Spring Cleaning and think I may just do that on Sunday. Then I'll see if he can live with my cleaning because I'm not going to sacrifice my limited hours on my studio day for the sake of cleaning, but I don't mind putting in a few hours on my Sundays. 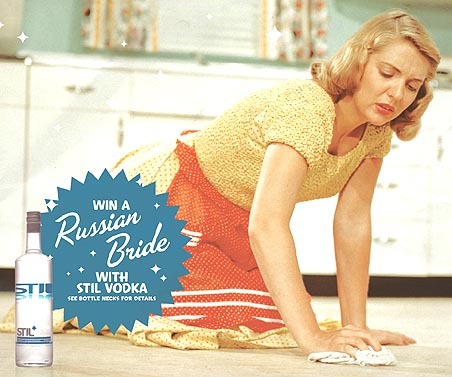 I found this pic while looking for a pic of Vodka and just had to share with all of you! Too bizarre! I have a real extravagance - I have a cleaner for 3 hours a week - she cleans the bathroom, the kitchen, does my dusting and hoovering of living room and stairs (it's a small house!) - she is the best thing I ever treated myself to, and I live in dread that she'll ever decide to stop doing it! My mother always had a housekeeper who came in one day a week and cleaned. And if I was actually home, I might do that also. But I don't want people going through my house when I'm not there to supervise. Too many memories of things that went "missing" from some of those housecleaners. Oh - I always go out if it's 'Jackie day' and I'm off work - I wouldn't want to be in her way - or have her think I didn't trust her to do it right without me peering over her shoulder! I'm so sorry to hear about your friend. I was shaken up a couple of years ago when a friend only three years older than I died suddenly. I think life is too short to fret about housework. Well, I did vodka my shower this afternoon and it actually works quite well - LOL. At the cost of $11 for a half-gallon, it wasn't too dear either. Thanks for your kind words, it was quite a shock having Richard pass so suddenly.